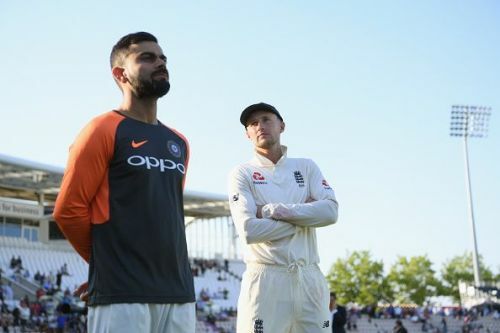 After a thumping win against England in the third Test match, everyone hoped India to win the fourth Test match to make the last Test at Kia Oval a decider. And there were a number of moments in the Test match where India looked on top and it looked like they will make it 2-2. But it wasn't to be as England, in the end, won comprehensively by 60 runs and won the series 3-1. This was a closely fought Test series and as Kohli rightly said, the scoreline does not justify how closely fought series this has been. Here we look at the key things we learnt from the fourth Test match between India and England. A comprehensive win in the third Test match at Nottingham meant that the first time in the history of his captaincy, Kohli went in with the same playing XI in consecutive Test matches. The record for playing the most Tests as captain before playing unchanged XI in successive games still stands with Graeme Smith. The fourth Test match was a precise story of this Indian cricket team on overseas tours. There were a number of moments in the Test match when India could've easily dominated and batted England out of the game. But they failed to capitalise on their moments. Make no mistake, there has been no complacency from this side under Virat Kohli right from the tour of South Africa, but they've just failed to capitalise on their moments. It has been another case of so near yet so far for them. Adil Rashid the specialist spin bowler who was selected ahead of Moeen in the first three Test matches bowled only 7 overs in the 4th innings when the pitch was suited best for spin bowlers. Moeen was brilliant in the fourth Test match. He bowled relentlessly in the rough and ran through the Indian middle order in both innings and also scored crucial runs in the first innings along with Sam Curran. Top order batsmen from both sides have been inconsistent, to say the least, in the series. This series has seen a battle between the lower order of both the teams and the English lower order has been far better compared to the Indian side. Buttler, Stokes and Curran have added valuable runs consistently throughout the series. The same hasn't been the case for India. Hardik Pandya, Ashwin and Pant have been ordinary with their batting.